Trailblazer Amy Smith discusses how new apprenticeships are unlocking talent. What does a visual effects apprentice learn about? How has the visual effects ‘apprenticeship landscape’ changed over the past 3 years, and where is it heading now? Why were some in the industry nervous about the changes at the time? Amy Smith, Head of Talent at visual effects company Framestore has been involved in developing the VFX apprenticeships. 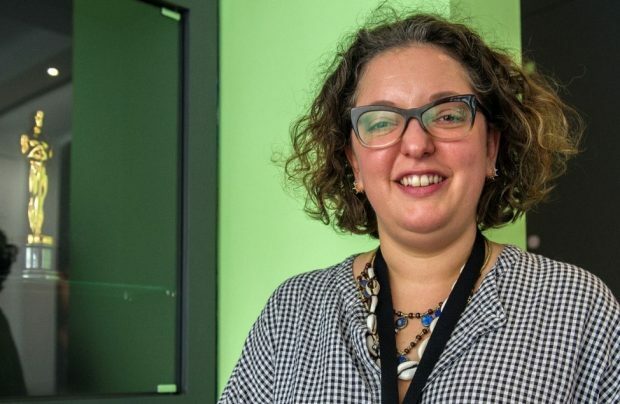 She is currently working with the Institute for Apprenticeships to deliver the new Assistant Technical Director and Junior 2D Artist Visual Effects Standards. Q: Amy, how did you first get involved as a Trailblazer in the visual effects arena? My company, Framestore were one of the first companies to get involved in developing apprenticeships in the VFX space. 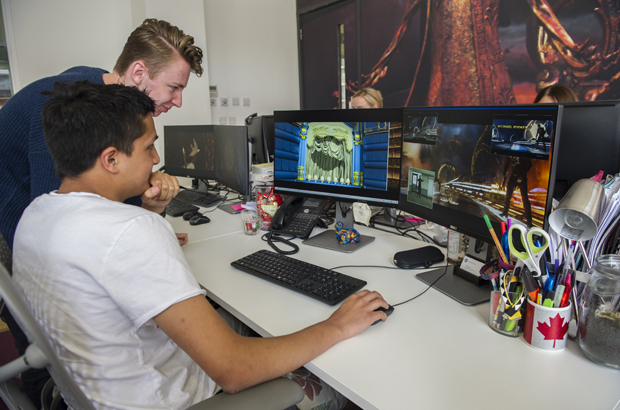 In 2014 we were one of several companies involved in setting up the ‘NextGen Skills Academy', which developed apprenticeships focussing on games, animation, and visual effects as part of its remit. Before this there were no apprenticeships available in this field, and we were really excited by the opportunity to introduce them. Since the new standards were going to be employer driven, we felt that they would be right for us, and that we should play a part. There are now a number of other companies working with us on delivering the new standards. Q: What do these, and the developing apprenticeship standards offer that past courses didn’t? In many cases, the degree and college courses focussing on the film industry were much too broad – they covered too wide a range of areas. A person entering this industry will probably end up working in one area of specialism, so it really helps if they have detailed knowledge and skills in this particular field. Additionally, a degree qualification isn’t for everyone and, as a creative business that prides ourselves on being innovative and at the forefront of what we do, it is vital that we make ourselves as open as possible to a diverse range of people and skill sets. Apprenticeships are able to offer us a different and wider pool of talent to draw from than simply focussing on graduates. Q: Can you tell me a bit about the visual effects skills they will learn? The major film studios send us bits of footage that have issues that need to be resolved. For instance, a crew member or some camera tracks might be showing up on screen, and these need to be deleted seamlessly. Or a character that was flying through the air might still have a harness showing. Or we may need to delete the ‘stand ins’... For instance, in ‘Guardians of the Galaxy 2’ a real person stood in for the animated character of ‘Rocket’ during the filming. We therefore needed to remove all signs of this person before we then inserted the animated character. So we also ‘insert’ as well as delete… Sometime the studios only build half a set, so we create the other half. Or the actors will be performing their scenes in front of a green screen, and will we need to insert a CGI background in place of the screen. Our apprentices will learn about these, and similar kinds of skills. Q: Can you tell me about the ‘on the job’ training the apprentices get? Our apprentices get to work on real jobs, and these include the big budget Hollywood films. So when they go to the cinema to see films like ‘Beauty and the Beast’, they may get to view scenes that they’ve actually worked on. Q: How has the rest of the industry reacted to these apprenticeships? On the whole everyone has been really excited at the development of these apprenticeships. But initially I think there was a small element of nervousness about the idea of involving people of school leaver age. This was because, at the time, about 90% of people working in the industry were degree educated! Q: Are people still concerned about this? I think these fears are beginning to be allayed because the first cohort of apprentices have exceeded all expectations. We now have 18 year olds taking on work that previously would have been taken on by 22 year old graduates. And their work is often outstanding. A couple of our young apprentices even earned themselves a credit on the movie ‘Guardians of the Galaxy 2’ – which I think you’ll agree is pretty impressive stuff! Q: It sounds like this is great news for your sector, do you think that other companies involved in the creative arts might benefit from getting involved in apprenticeships? Absolutely. For us apprenticeships are a great way to offer an alternative entry point to our industry, and therefore to widen the pool of talent that we are able to draw from. Additionally, we are looking at how we might leverage apprenticeships in order to help us train and develop existing staff in a practical way whilst still allowing them to be at work on a day to day basis. I would encourage creative industries employers to embrace the change and to give it a try, as we have been really surprised, delighted and encouraged by our experience of bringing apprentices into our business. If, like Framestore, you would like to be apart of developing new apprenticeship standards, we’ve created a guide for employers to help.